IT workshops with Solidsoft Reply Nár. org. pro ověřování pravosti léčiv, z.s. IT Workshop is planned for 30th November 2017. The workshop is mainly suitable for IT companies providing SW to pharmacies, distributors, hospitals and other entities involved in the FMD project. 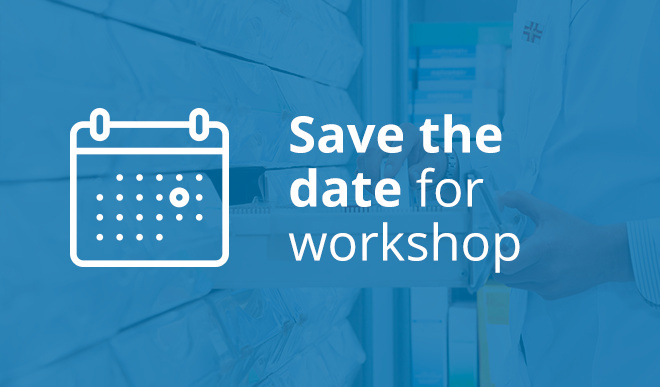 The workshop is designed for IT professionals who shall prepare changes in the systems used by pharmacies, distributors and other entities authorized to dispense medical products. The purpose of the workshop is to provide information necessary for correctly modifying and connecting the IT systems to the national medicines verification system (NMVS). To register for the workshop and to obtain more information, please send an e-mail with your contact details to info@czmvo.cz no later than 7 days before the date of the workshop you selected. Registration and a Mutual Confidentiality Agreement signed with Solidsoft Reply is required to attend a workshop.